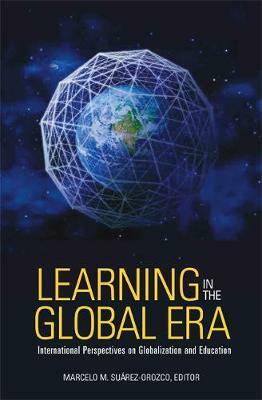 An international gathering of leading scholars, policymakers, and educators takes on some of the most difficult and controversial issues of our time in this groundbreaking exploration of how globalization is affecting education around the world. The contributors, drawing from innovative research in both the social sciences and the neurosciences, examine the challenges and opportunities now facing schools as a result of massive migration flows, new economic realities, new technologies, and the growing cultural diversity of the world's major cities. Writing for a wide audience, they address such questions as: How do we educate all youth to develop the skills and sensibilities necessary to thrive in globally linked, technologically interconnected economies? What can schools do to meet the urgent need to educate growing numbers of migrant youth at risk of failure in societies already divided by inequality? What are the limits of cultural tolerance as tensions over gender, religion, and race threaten social cohesion in schools and neighborhoods alike? Bringing together scholars with deep experience in Africa, the Americas, Asia, Europe, and the Middle East, this work, grounded in rich examples from everyday life, is highly relevant not only to scholars and policymakers but also to all stakeholders responsible for the day-to-day workings of schools in cities across the globe.